A number of products are just reachng the market that will make our standard "INET Drops" a thing of the past. No longer will communities be burdened by negotiations and cost-prohibitive additional drop-sites from the cable companies. Inexpensive and HD quality, these new products will allow your community or production team to go "Live" from any location where there is an internet connection and access to a static IP address. Bandwidth and pipelines are not an issue, since you are delivering your content point-to-point to your server or storage site. PEG stations will be able to better accomodate live event coverage; House of Worship can have multiple "satellite" locations; Universities can deliver Distance Learning and corporations can forward video material like it was a data transfer! 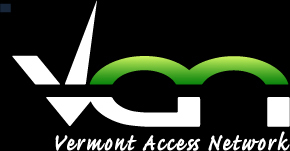 At Access A/V we have embraced these new developments and are your solutions expert! We are an Authorized Dealer for QVidium, Visionary Solutions and VBrick and have demo units available for your review. Call us to set up an appointment or stop by our booths at a product show near you. Solutions also include MPEGII Streams, MPEG 4; H.264 and HD delivery options! The QVAVC-HD is part of the QVidium® Advanced Video Codec line of products; a line of compact, powerful and cost-effective products designed for real-time video encoding, decoding and transcoding for Content Gathering, Monitoring, and Distribution of broadcast quality video over IP networks. QVidium’s advanced video transport takes advantage of the inherent flexibility of IP and the Internet, providing broadcasters an efficient, affordable and scalable solution for professional quality video distribution. The QVAVC-HD provides advanced H.264 High Profile compression of video signals, coupled with QVidium’s patent-pending error correction and IP video transport, allowing cost-effective transmission of high quality over nearly any IP network. Selectable HD-SDI, SDI, HDMI, Composite, S-Video inputs.